We say: What would make this card even better? Duraflex technology for the best RFID card durability on the market. 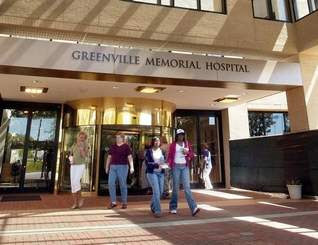 Visitors to Greenville Memorial Hospital will be required to have an identification badge to see ailing friends and relatives at night, beginning Wednesday, as part of a plan to keep unwanted people out. Under the FAST-PASS program, visitors to the main hospital from 9 p.m. to 5 a.m. must have the badge, said security director Shawn Reilly. Both visitors and patients in the emergency room will be required to have the badge at any time, he said. We say: It's great to see a security team acting before there is an incident! Too often good security is tabled to save a few dollars until there is a major problem. Our new SkimSafe anti-skimming badge holders were well received at the ASIS exhibits this week. Both current models are simple, elegant, and effective. They are already FIPS201 approved. Many government officials and defense contractors are well aware of the recent NASA document. Our designs avoid any similar problem. Please visit our new SkimSafe web site for information and sample requests. We say: ID Card Security Features are inexpensive compared to the cost of compromised security! Adam Savage from Discovery Channel's Mythbusters was interviewed recently and had this to say about their shelved episode pertaining to RFID hacking and possibly even data skimming... Watch the YouTube video here. We can only wait for the censored version if it is ever released. We say: Why not protect your RFID enabled cards with the SkimSafeTM ? Pick up your free sample at ASIS 2008 in Atlanta in the Laminex booth!